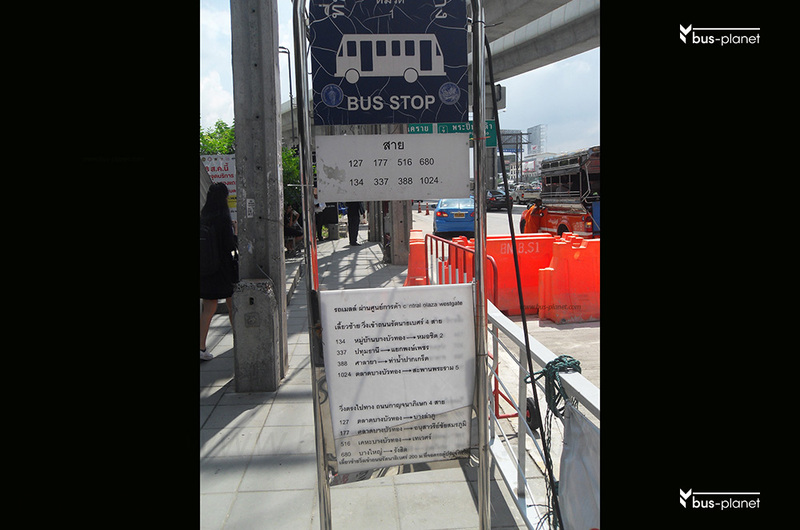 Bangkok transport impressions 101: Bus stop Westgate, Bang Yai..
Impressions from the bus stop before the entrance of the Mall Westgate, along the Outer Western Ring Road at the crossing from the Thanon Rattana Thibet (Road). Shuttle service Bang Yai – Sanam Luang. 26 September 2016..
101: Bus stop Westgate, Bang Yai.